Life is always challenging us some way some how, and I know one thing we rise by lifting each other. For years I was searching to do something with a bigger purpose. In 2013 I helped a guy caring kids with cerebral palsy during an Olympic distance triathlon. That really touched my heart. The 2014/2015 season I raced with the famous quote in my uniform: "Be the change you wish to see in the world". January 2016 I won my first 140.6 race in Naples Florida (Hits Triathlon Series), and July 2016 Luke was born. We received a lot of support from the endurance community, and I also saw many athletes looking motivation, inspiration and purpose. So I decided to put both together. "In 2015 while a swim workout I met a para athlete training for his second ironman. Talking to him, he said "We all have challenges, you just can see mine." That marked me quite a bit, because I have always seeing life as a physical, mentally and spiritual challenge. After Luke was born, I added to the quote, because there a lot we can do to help families with physical challenges. I believe that we rise by lifting each other." Luke is the team captain motivating and inspiring others with his hard work and always smiling. 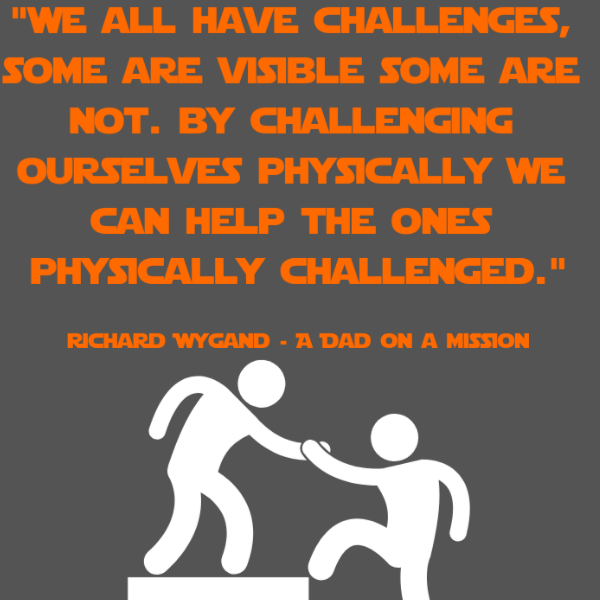 Richard is a Dad on a mission leading the Team Higher Purpose. On November 27th 2017 I made Luke a promise. "I promise Luke that we were going to run together even if I had to carry both machines. Guess what? On 10/20/18 we ran our first 5 K.
During the race I notice how happy Luke was and how people around us were inspired by his smile. Well, the truth is everywhere we go Luke brings so much joy for everyone. This 5 K marked my come back as feeling like an athlete again, and now with a much higher purpose: Create awareness for Nemaline Myopathy. "By challenging ourselves physically we can help the ones physically challenged"
Team Higher Purpose is an Endurance Focus team, where we train and compete with a common purpose: Raise awareness for a rare muscle condition called Nemaline Myopathy, and help families with physical challenges Exceed. 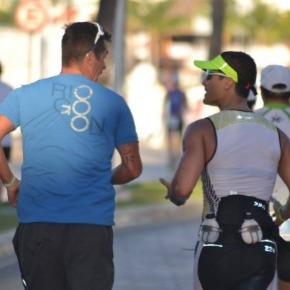 "I have raced Ironman professionally for 12 years, and I coached many athletes from ground zero to ironman level. 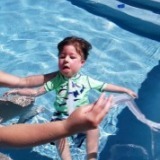 My son was born with a rare muscle condition called Nemaline Myopathy, and now my Ironman is to raise awareness. 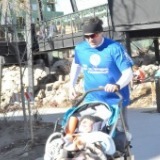 When I was racing I always had one attitude: NO SURRENDER, and my son have that same attitude, with that in mind I founded the Go Luke Wygand Foundation, we are athletes helping families with physical challenges thrive. We all have challenges, some are visible some are not. By challenging ourselves physically we can help the ones that are physically challenged." Join one of our membership programs. Join our team and become an ambassador. Support this idea and by either donating or sponsoring our team and events.